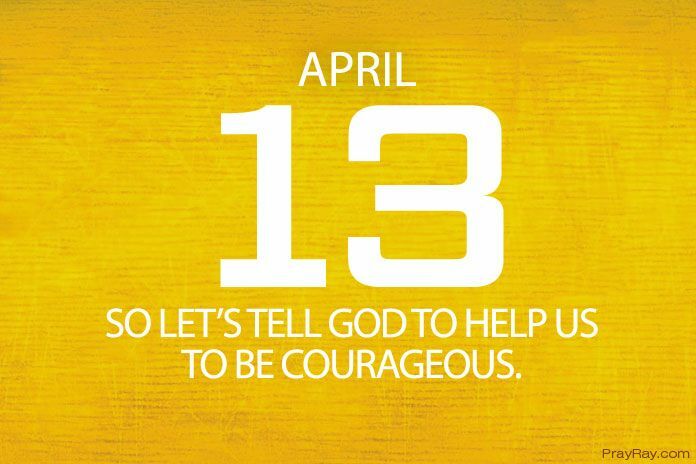 God give me courage prayer – Devotion for April 13. Having courage as a Christian and standing up to whatever will make all other believers stand up to the same thing. You have to stand strong so that your courage can motivate others. So let’s tell God to help us to be courageous. People really want to do more for God, they want to serve him without fear but they need someone to motivate them. If you take the first step and motivate them, they will follow. Paul was so courageous that he could stand up to any challenge and preach anywhere. He has been imprisoned several times and these motivated other believers. They became confident and preached the gospel not minding the consequences. If Paul didn’t stand up to the challenge, maybe no one would’ve been courageous enough to do the work of God openly. If there is anything you want to start that you are afraid to start thinking it will not work. Why don’t you take a step of faith and get the courage to start? “If you don’t make a move, you will not be on the motion.” If you hesitate, say God give me courage prayer. When starting a new thing, you will see that people will follow you. You need to be a mentor to people, they should see you as their motivator. It’s not enough speaking it, take a step, the action is what people want to see. Take an action now and lead the flock. Lord, I want to be a source of encouragement to other believers to do your work. I want my courage to motivate others. Please give the courage to take the first step. Let me start a new thing that will motivate others too. I want to lead people on the right path and not on the wrong path. When things seem difficult for other people to achieve, let me start it and achieve a good success. All this ask that your name may be glorified in Jesus name. Amen.